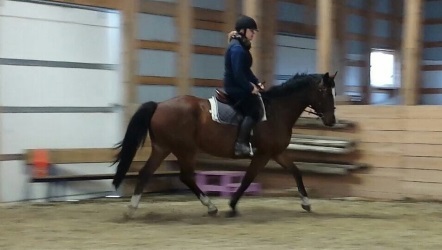 007 15.3 hand bay TB gelding, he has become a big favorite and is on a full lease. 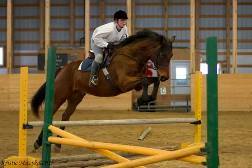 This horse can JUMP! 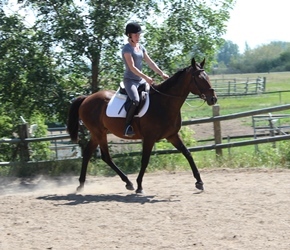 Patricia 2005 Paint/Warmbood cross mare, eligible for Canadian Warmblood Registry. 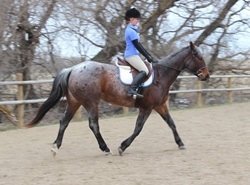 Sired by Mr. Faceman (Paint Overo) out of Ebon’s High Fashion (Highlight by Argus – Grand Prix Dutch Warmblood Stallion). 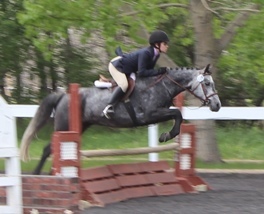 Standing 15.2 hands, Patricia has a great natural rhythm, good engagement from behind, and has very correct hunter-type jumping form. 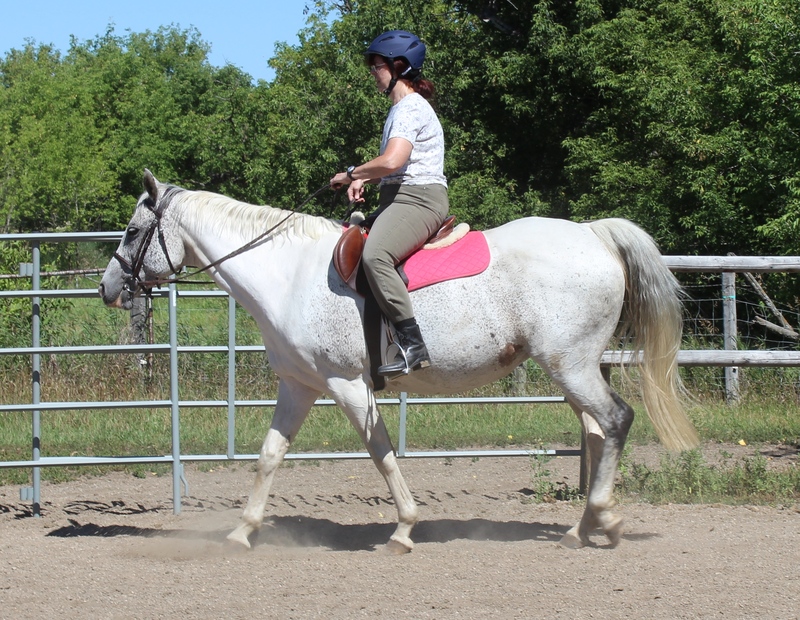 Patricia really connects with her rider, a hard worker, and has great ground manners. 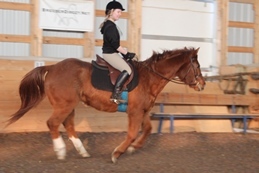 She is used in regular lessons and has become a barn favourite! 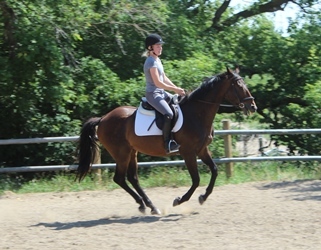 She loves to jump, has no stop, wants to do the lines! 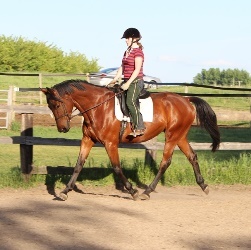 Athletic, willing and always wanting to please! 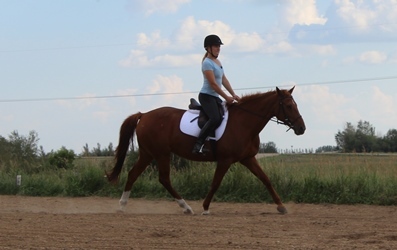 Very solid under saddle, reliable, but needs a sensitive thoughtful rider with good hands; this mare will do 120 percent for you. A real treat. Dance card currently full. 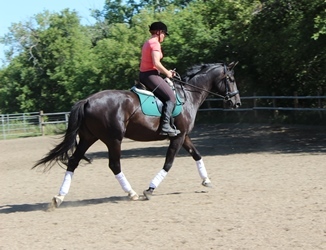 Mazurka 1997 Canadian Warmblood Double Premium mare, is one of our favourite school horses, she can pack green riders around the ring, but also teach them to manage upper level dressage movements and jumping, but only if you ask correctly!!! 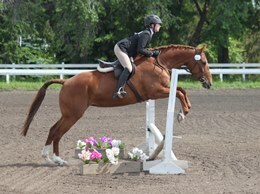 Not for sale, leasing option and lesson horse. 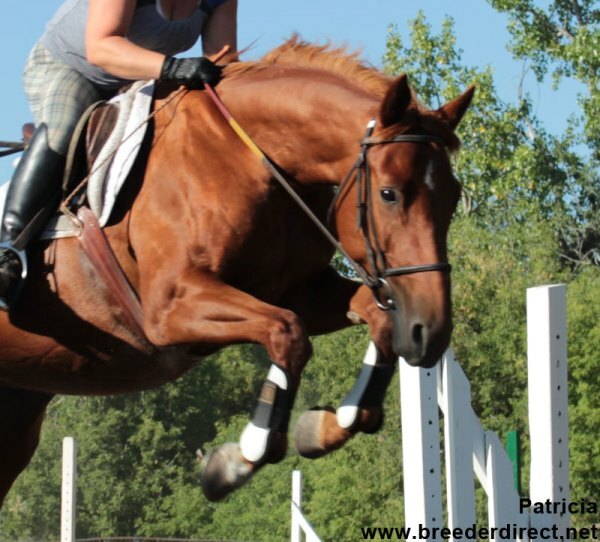 Her babies include Ra-Rumba CT, Frasier CT, Charlie CT and Boomer CT, all of whom have a very successful competitive careers over fences in Canada and the USA. Dance card currently full. 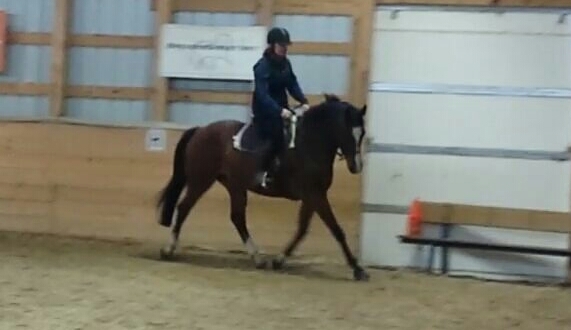 London Fog is a 15 hand sweetheart! 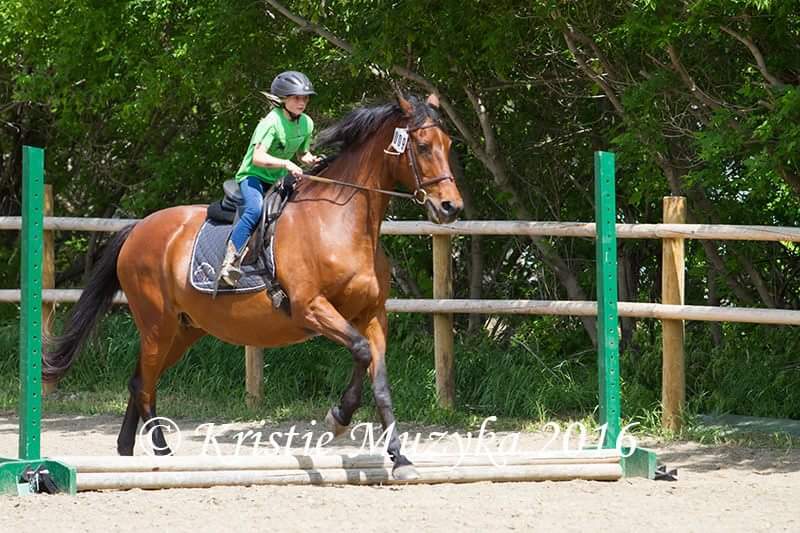 Great safe and kind mare who is a solid citizen. Not for sale. London is super sweet, and has a full dance card! 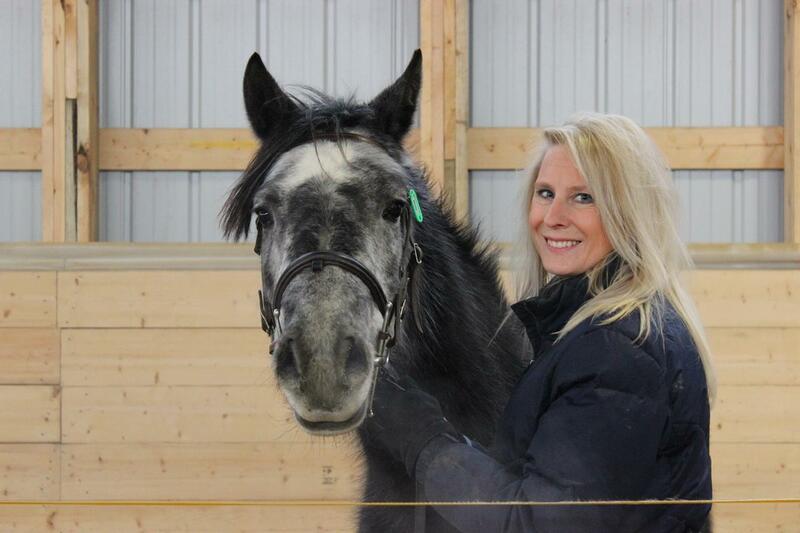 We are lucky to have her. 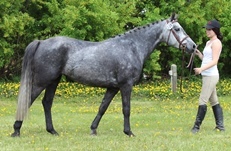 Koolaid– 16 hand light grey gelding with extensive show experience. Dance card currently full. 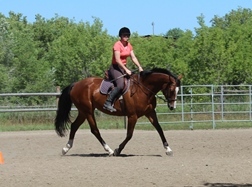 Encina CT – By Evergreen 16.1 hh, very sweet former broodmare enjoying attention in lessons with riders who have sensitive hands. 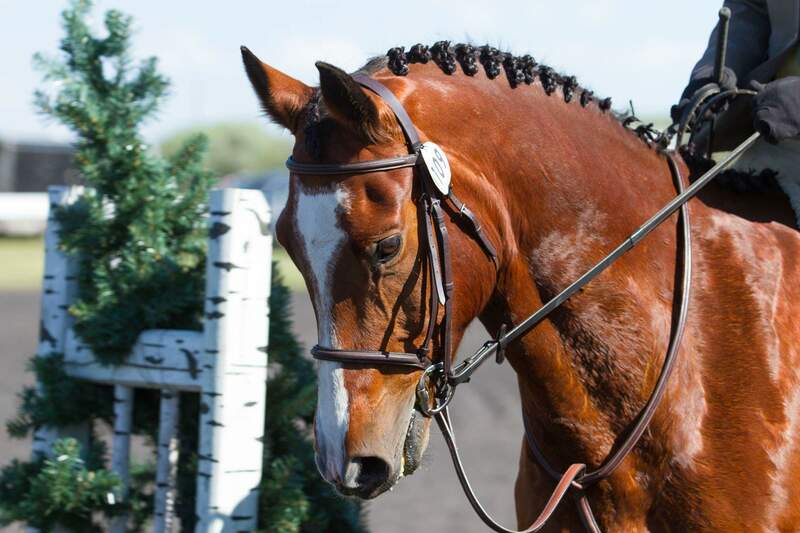 Benjamin CT – Advanced dressage horse by special arrangement only. 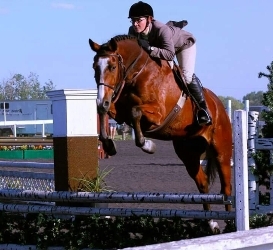 Bonnie CT – Advanced jumper by special arrangement only. 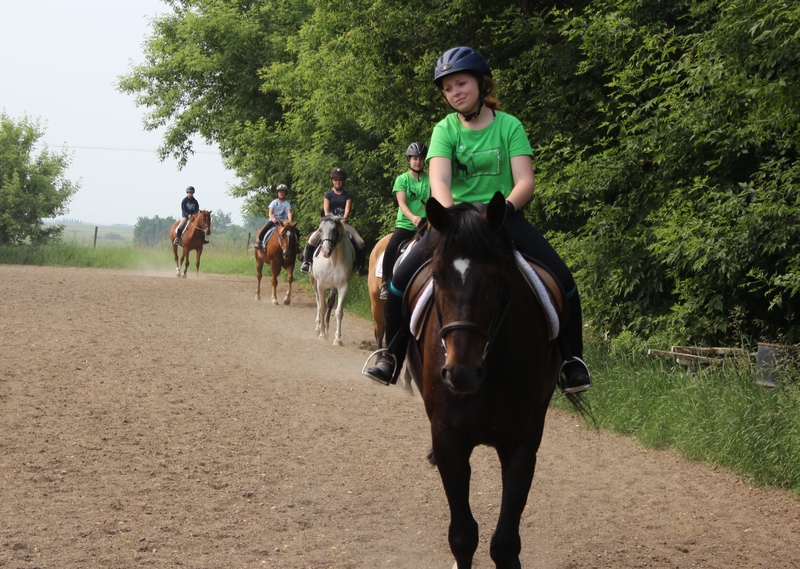 We also have several horses kindly on loan to us here at Copper T, rounding out our lesson program. 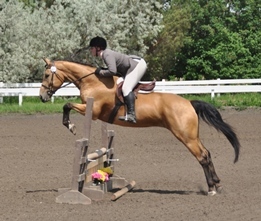 Chevaz – an older gentleman especially safe with kids, on loan to us at Copper T.
MJ Kelly a Hunter show mare super fancy and kind, well schooled and loves to jump. 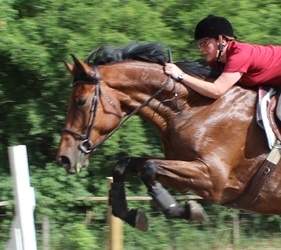 Paris – 6 year old TB mare showing real promise who is currently under development. 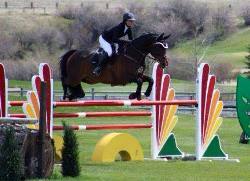 Born and bred, trained and developed at Copper T, now owned and show out of B.C. 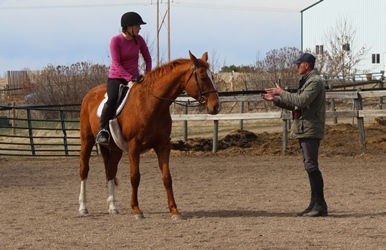 Receive regular hoof trimmings and dental care, regularly vaccinated, including intranasal flu and strangles, dewormed, including West Nile since 2002, and tested annually for EIA.